The Nebraska Folk & Roots Festival is returning to Lincoln -- at its best venue and with its best lineup yet. The venue is Pinewood Bowl, the fourth location for the festival that, for five years, has featured a combination of national and local Americana and folk artists. Folk & Roots began in the Railyard in the Haymarket, moved to Branched Oak Farm near Raymond and, last year, was in Riverfront Park in Elkhorn. Going to Pinewood -- which (try to keep up) is operated by SMG Lincoln, which also runs Pinnacle Bank Arena, and is co-booked by Mammoth, the Lawrence, Kansas-based production company -- was a natural move. “They tried the bluegrass festival out there last year and they wanted some kind of acoustic festival,” said Folk & Roots organizer Mike Semrad. “Bringing in Folk & Roots made sense to have a community-driven festival, not just one that had Americana and bluegrass music. The community aspects of the festival include educational booths from local organizations and daytime activities, like face painting, and other art elements by the ArtReach Project, KZUM and the presence of the festival’s sponsors, most of which are happy the event is back in Lincoln and at Pinewood. The June 15 lineup is topped by The Travelin’ McCourys, the 2019 Grammy Award winner for best bluegrass album. Led by McCoury brothers Ronnie on mandolin and Rob on banjo, who honed their craft playing with their legendary father Del in The Del McCoury Band, The Travelin’ McCourys has an all-star lineup. The brothers, fiddler Jason Carter, bassist Alan Bartram and guitarist Cody Kilby are all members of the International Bluegrass Hall of Fame. Formed in 2009, The Travelin’ McCourys have recorded just two albums, 2012’s collaboration with Keller Williams and last year’s self-titled Grammy winner. Lafarge, who was featured in “American Epic,” the award-winning PBS series about early recording, is signed to Jack White’s Third Man Records. So is Joshua Hedley, a classic country singer and songwriter, who’ll also be on the festival’s bill. Other national artists set for the festival are Greg Brown, the Iowa folk legend, the one-man band The Suitcase Junket and The Rainbow Girls, an acoustic trio. Nebraska artists set to play the fest are: Kris Lager Band, Matt Cox Band, Jack Hotel, Clarence Tilton, Hope Dunbar Band, Andrea Von Kampen and Will Hutchinson, along with the second annual Dietze Music Guitar & Fiddle Competition. The competition’s preliminary rounds will kick off the daylong festival at 9 a.m. The winners, both adults and children, are likely to get to play a song on the main stage during the evening. The festival is slated to conclude at 10:30 p.m. While the festival has been cut from two days to one, it will nonetheless feature about the same number of artists as had performed at the two-day events. Festival tickets are $25 for early bird general admission tickets, while supplies last; $30 general admission and $75 for VIP. Tickets are available at the Pinnacle Bank Arena ticket office, ticketmaster.com or by phone at (800) 745-3000. Tickets purchased at the arena ticket office will not be subject to the Ticketmaster fee. Here is our full recap — March 13 social media meltdown. Nebraska Exposed will return to South By Southwest for the fourth time on March 13, with bands and solo artists from Lincoln and Omaha going to Austin, Texas to play in front of music fans and industry folk from around the country. This year, however, Nebraska Exposed will move about a mile east from the rooftop of Cheers Shot Bar, smack in the middle of 6th Street -- the giant music fest’s overcrowded main drag, to Shangri-La. There, Nebraska Exposed will pair up with the Midwest Music Foundation’s annual two-stage event, MidCoast Takeover, which has taken place in the dive bar-meets-beer garden since 2012. Day parties, like Nebraska Exposed, are “unofficial” South By Southwest events. That is, they take place in the afternoon and early evening, before the official SXSW showcases begin at 8 p.m. Admission to most day parties, like Nebraska Exposed, is free. Badges and wristbands purchased for hundreds of dollars are required for entrance into the official showcases. Shangri-La, which is outside downtown Austin, should be a much better place for the Nebraska day party than Cheers Shot Bar, both in drawing an audience and in production quality. From the Midwest Music Foundation's point of view, pairing up with Nebraska Exposed made sense, because it often had difficulty filling out a full day of bands and bands that played Nebraska Exposed, such as High Up, Universe Contest and See Through Dresses, also played MidCoast Takeover. Even though Nebraska Exposed is sponsored by the Lincoln community radio station, which doesn't reach Omaha over the air, the showcase nonetheless includes Omaha and Lincoln artists. This year’s lineup is about evenly split between the two cities with Evan Bartels & The Stoney Lonesomes, The Fey, Mad Dog and the 20/20s, SAS, Orion Walsh and Will Hutchinson from Lincoln and Sebastian Lane Band, J Crum, Matt Cox, The Rare Candies and M Shah from Omaha. Those artists applied to play the showcase, a new Nebraska Exposed procedure. A fundraiser for Nebraska Exposed will be Feb. 22 at the Zoo Bar. 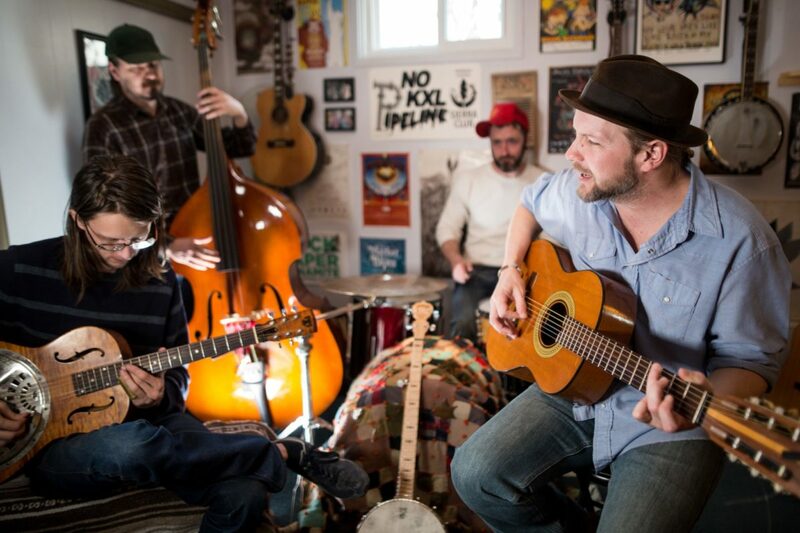 Evan Bartels & the Stoney Lonesomes and The Fey will perform at the show. All proceeds from the door and a raffle will go to support Nebraska Exposed and the artists playing the showcase. The Blues Society of Omaha sends two local acts and a youth band to Memphis in January for the annual Blues Foundation's International Blues Challenge (IBCs), happening Jan. 22-29, 2019, on Beale Street. Matt Cox represents the BSO in the Solo/Duo category. Stan & The Chain Gang represent in the band category. The IBCs showcase over 250 artists from around the world, a great opportunity to get heard, make connections and advance careers if you are an aspiring touring artist. See blues.org/international-blues-challenge. The Blues Foundation also invites blues societies to send a youth band for their annual Youth Showcase, which puts young bands on the club stages prior to the start of the official IBC sets. BSO and the BluesEd program are sending Us & Them. The send-off show for BluesEd band Us & Them is Friday, Jan. 11, 7-10 p.m. at Chrome Lounge. The send-off show for Matt Cox and Stan & The Chain Gang is Saturday, Jan. 12, 5:30-8:30 p.m. at Chrome Lounge. Hear these acts, show your support and contribute to the travel and lodging expenses for the artists' trips to Memphis. Find details at OmahaBlues.com and watch Facebook.com/BluesSocietyOfOmaha for updates from Memphis during the IBCs. The show: Matt Cox album release show with Dustin Arbuckle & The Damnations, Rex Granite Band featuring Sarah Benck at 8 p.m. Friday at The Waiting Room Lounge, 6212 Maple St. Tickets, $10, at etix.com. 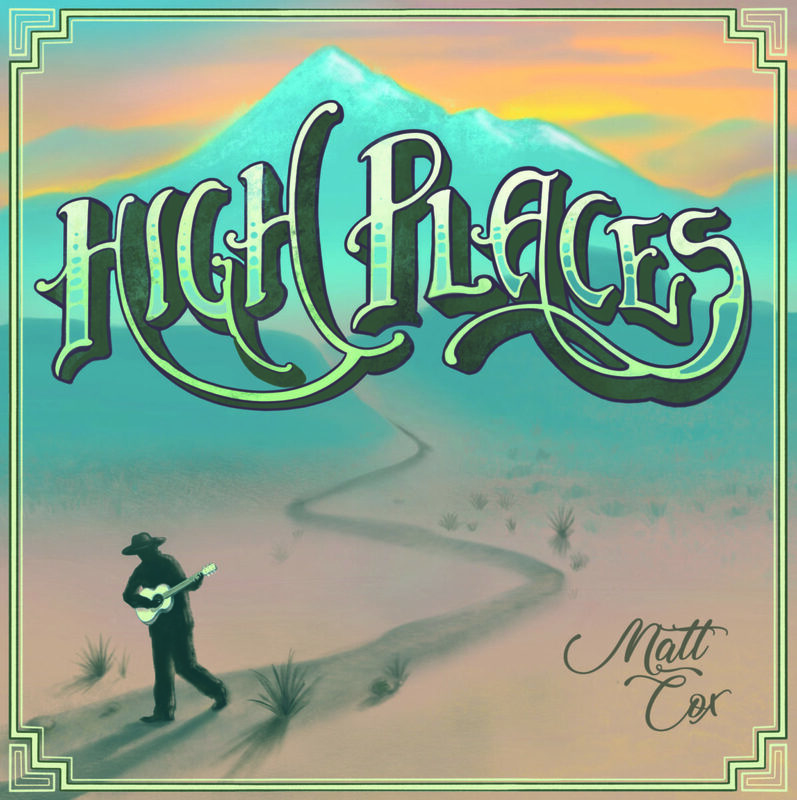 About Matt Cox: For “High Places,” Matt Cox and his longtime bandmates recorded 10 new songs featuring his storytelling lyrics and weather-worn vocals at the forefront. One of the hardest working people in Omaha music, Cox brings more of his dusty cowboy songs on his sixth album. 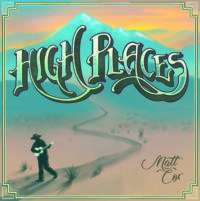 Matt Cox will mark the release of his sixth studio album, High Places, at the Zoo Bar’s FAC this Friday at 5 p.m. The show will be a rare chance for a Lincoln audience to see a three-hour set with the full band behind Cox, who has more often played shorter, sometimes solo gigs in town. But it’s great timing for the Omaha songwriter, as High Places is driven by the rich, full sound of the four-piece group that includes Cox on guitar, banjo and harmonica, Colin Duckworth on guitars, Eric Elworth on bass and Jarron Storm on drums. Matt Cox Band. Photo by Chip Duden. The process for the new album was similar, in that there were only a couple of sessions and they recorded live as much as they could. Working with Jeremy Garrett at Hidden Tracks Recording Studio in Omaha, the band’s intention was to create something that more resembled the feeling of its complete, plugged-in live show. “Full drums give it more energy and kind of more of a rock feel to go along with the country and blues stuff,” Cox said. That much is clear from the opening moments of the album when “18 Wheels,” the first of a few honky-tonk barn burners, kicks things off with the fast-driving rhythm, harmonica and knife-sharp guitar licks that put the listener in the seat of the rusty-chained Freightliner. Next up, “Rockwell” starts with only Cox’s banjo and powerful vocals before the rest of the band effortlessly slides in around him, settling into a groove that brings to mind Ray Wylie Hubbard. Combined with “18 Wheels” before it, this one-two punch at the outset of the record is a reminder of Cox’s knack for handling many different forms of roots music so well. Like his last several projects, Cox’s songwriting shines at the forefront of High Places. The Shenandoah, Iowa, native continues to draw on his own life experience here, as he did on The Cost of Everything and the Value of Nothing and 2014’s Nishnabotna — an album that should arguably be considered the best Nebraska roots music release of this decade. For instance, on the High Places standout, “Granite Angels,” Cox vividly brings to life the actual Marine Band harmonicas that belonged to his grandfather, right down to “grandpa’s sweet pipe tobacco smell.” The song reflects on self-doubt but with a sense of hope and gratitude shining through. Where we could keep on dreaming. Another tender moment is the atmospheric “Medicine Man,” when Cox and the band slow things down more than anywhere else on High Places. Duckworth really stretches out the pedal steel and Telecaster work here, to outstanding effect. It’s a beautiful song that serves as the perfectly placed finale to side one of the vinyl LP as well as a testament to the band’s collaboration in the studio. From top to bottom, High Places is diverse in styles, ranging from country to blues to rock to folk. At the center of everything is authenticity. It’s found in Cox’s voice, in the tightness of the band and in the quality of the songwriting. The album confirms his place as one of the great ambassadors of roots music in the region and Friday’s Zoo Bar show will no doubt showcase the clear passion that he and his band have for what they do. If you miss Friday’s show, the Matt Cox Band will play an acoustic in-store at Homer’s in Omaha for Record Store Day the next morning and the official Omaha release show will be at The Waiting Room on April 27. You can learn more about Cox and order his music at http://mattcoxmusic.net/. Friday, April 20, 5-8 p.m.
Ryan Evans is KZUM’s program director and hosts “Tree with Roots” every Wednesday from 8 to 10 a.m. on KZUM. Omaha-rooted, award-winning songwriter Matt Cox will celebrate the release of his new album with several appearances over the next couple of weeks. The festivities begin on Friday (April 20) with a show at the legendary Zoo Bar in Lincoln. The next day, Saturday (April 21), Cox will be in Omaha to play a special Record Store Day show at Homer's Records in the Old Market. If you buy a copy of "High Places" at the Homer's show, you get a complimentary ticket to the folk-country-Americana singer's April 27 show in Omaha at the Waiting Room. Is "High Places" worth buying? Well, duh. That's a big YES. Cox's original, harmonica and acoustic guitar-driven music continues to evolve and take on new, lush layers. The selfish me likes that Cox is based in Omaha because we get to see him perform more often than we would if he lived in Nashville. But if he lived in Nashville, well, he'd be a national star. You can get an idea of the new album by watching Cox perform "Pepper Pickin' Daddy" from "High Places" by clicking on the video play button above. The Nebraska roots music scene has been getting some great recognition in 2018. In January, the Blues Society of Omaha was honored with a Keeping the Blues Alive Award. The BSO received the award from the Blues Foundation in Memphis partly in recognition of the BluesEd youth performance and development program that provides music education and performance opportunities for youth. See BluesEd.com for more information. This is the sixth KBA to be awarded to Omaha-LIncoln metro area recipients. In February, I attended the 30th Annual Folk Alliance International in Kansas City. The annual event is part artist development conference, part live performance showcase and a gathering for all kinds of folk music. In addition to the expected traditional folk forms, world music, blues and even swing were represented. Lincoln community radio station KZUM hosted their first private showcase. The term private showcase is a bit misleading, private showcases take over three full floors of the host hotel, Kansas City's Westin at Crown Center. Each private showcase room hosted artists from 10 p.m. to as late as 4 a.m. each night. It's a bit like 300 pop-up, music-driven speakeasies. In attendance are fellow musicians, industry folks including radio DJs, concert promoters, booking agents and dedicated fans. Usually the beds have been removed, folding chairs have been added and presenters armed with painter's tape have transformed the spaces with Christmas lights, posters and more. Most presenters also have a beer or liquor sponsor, providing of-age attendees with free alcoholic beverages. KZUM's showcase hosted sets by Matt Cox, Will Hutchinson, Mike Semrad & The River Hawks, The Wildwoods, The Fremonts, Andrea Von Kampen, Hope Dunbar and Jack Hotel. The showcase offered slick swag from buttons and stickers to a compilation disc of all the artists and free beer from sponsor Blue Blood Brewing Co.
By Saturday, I was hearing people I didn't know saying that KZUM's Nebraska Room 701 was “a must” among the private showcases. A cool accomplishment that reflects the caliber of our local talent and the organizational efforts of KZUM to make the room happen. For photos and videos from the KZUM FAI private showcase scroll back to Feb. 15-17 posts at Facebook.com/kzumradio. For more on Folk Alliance see folk.org. Folk Alliance also featured ten official multi-act showcases from 6-10 p.m. each night Thursday-Sunday in various ballrooms and event rooms around the hotel. Performers included blues acts like Ruthie Foster and Guy Davis, Tex-Mex from Flaco Jiménez and Los Texmaniacs featuring Redd Volkaert, popular folk artists like Anaïs Mitchell and Sam Baker plus traditional, popular and even experimental urban folk from around the world. Daytime included more showcases, panel discussions, film screenings and a Music Camp with sessions for musicians to learn from pro teachers. A special highlight was the Thursday talk with Richard Thompson who spoke about his early years as an artist, the early London music scene and more in an engaging and often humorous conversation with moderator and folk authority Stephen Winick. Next year Folk Alliance moves to Montreal, but it is expected to come back to K.C. in several years. Jack Hotel performs during KZUM’s Great Winter Ramble on Jan. 13, 2018 at the Pla Mor Ballroom. Photo by Jay Douglas, KZUM. Hundreds braved the cold and snow to fill the Pla Mor ballroom Saturday night for KZUM’s Great Winter Ramble benefit, raising money to support the station’s work at the upcoming Folk Alliance International Conference. Billing itself as “the world’s largest gathering of the folk music industry and community,” the conference is set for Feb. 14-17 in Kansas City and will feature hundreds of musicians, as well as professionals representing music journalism, radio, labels, booking agencies and more. KZUM will be featured as an exhibitor on the convention floor and will host a private showcase room featuring Nebraska musicians performing for this important audience. Saturday’s benefit raised nearly $5,000 through admission, a silent auction and food sales donated by Lippy’s BBQ. The evening featured performances by Will Hutchinson, Andrea von Kampen, Evan Bartels, Matt Cox, Jack Hotel and Mike Semrad, who celebrated the release of his new solo album, Cloud or Mountain. 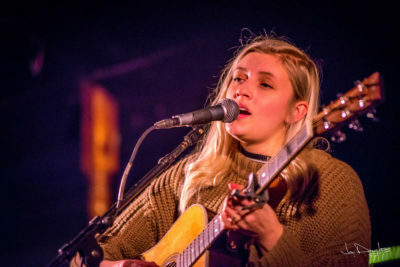 Andrea von Kampen performs during KZUM’s Great Winter Ramble on Jan. 13, 2018 at the Pla Mor Ballroom. Photo by Jay Douglas, KZUM. Except for Bartels, each of Saturday’s performers will also be part of KZUM’s Nebraska Room showcase at Folk Alliance. The Wildwoods, Hope Dunbar and The Fremonts — a Boulder, Colo., duo with roots in both Fremont, Calif., and Fremont, Neb. — will also join the showcase rotation. It’s our hope that, by giving hundreds of industry professionals the opportunity to experience our state’s music in person, more of the world will discover what we already know: that Nebraska is fertile cultural ground for incredible music. We at KZUM are incredibly grateful for the amazing outpouring of support that this event received and we look forward to representing the entire state at the Folk Alliance conference. Stay tuned to KZUM.org and the station’s social media accounts to keep up with our work there, Feb. 14-17. The Troubadour Show 165. Produced and presented by John Godfrey. Two hours of the best new releases and some old favourites. Alt Country, Americana, Country, Folk, Rock, Roots and Singer Songwriters. "Matt Cox isn't the sort of artist who strikes you as performing in pain. He doesn't yelp, holler or throttle himself around. On the contrary the Omaha country/folk artist sings in a kind of rural, unphasable texture, not unlike that of fellow Iowa native William Elliott Whitmore. Rain or shine, Matt Cox's guitar, voice and harmonica will live in absolute harmony. So then it's surprising in some ways to find that Cox has recounted the year of writing his new album Nishnabotna by the number of funerals he's been unfortunate enough to attend. Four or five, including those of close family. And so the songs on Nishnabotna come from a personal place, home in Shenandoah, Iowa when home was a place of grief as much as it was comfort. Yet, the songs are an even keel on the rocky waters of the album's namesake river. Songs like "Country Rose" and "Gainesville Girl" digest a kind of rural-flavored heartache and deliver it to the audience as soulful, unflappable country. And this feeling is helped along by increased tinkering within Cox's full band, endowing stripped songs with drums and bass that hold their hand through the more somber moments. Inevitably, Cox's husky drawl will carry them upward at the end of things, its own kind of reconciliation. In short, Matt Cox the singer would never strand Matt Cox the songwriter. Nishnabotna was released two weeks ago on Sower Records. You can see Cox Friday at Zoo Bar with Jack Hotel, Gerardo Meza and The Bottle Tops, but right now he joins us on Hear Nebraska FM." Hamburg, Iowa-born and Omaha-based singer, songwriter and musician Matt Cox is releasing his fourth studio album, Nishnabotna, tomorrow night at the Waiting Room. We're happy to debut a track from the new album. Listen to "Summer Peaches" below, a bare-boned acoustic ballad recalling the sleepy beauty of dreary summer days gone by. Let Cox's gravelly voice lull you away, he's got that innate ability to sound wiser than his years on this earth might lead you to otherwise believe. Matt Cox is one of the area's most respected songwriters and performers. He's won five Omaha Entertainment and Arts Awards and cultivated a loyal fan-base of both music fans and musicians. His comforting voice, honest lyrics, subtle drawl and guitar-driven songs pull the listener in. Cox's new album, Nishnabotna (pictured below), finds him writing his most personal album to date, and it's a solid work from start to finish. The album is made up of solo tracks and songs with his band, along with area musicians and it gives roots music fans a lot to take in and absorb. It's his best work to date. Cox will celebrate the release of Nishnabotna FRIDAY (August 8) at the Waiting Room Lounge with a stacked lineup that also includes Sarah Benck, the Filter Kings and the Electroliners. I recently talked with Cox and bandmate Walker Gerard about the writing and recording of Nishnabotna. "Gavin's Point Dam" doesn't start small - a deluge of muddy water wipes out a dam. But it does grow. After Matt Cox's song chronicles the soaking of Midwestern flood-planes, it presses beyond just water into various social onslaughts. The song sees social security failing, politicians floundering. The breaking of Gavin's Point Dam was, perhaps, the proverbial last straw for humanity. "Gavin's Point Dam" is the second track from Cox's forthcoming full-length, Nishnabotna, due out Aug. 8 on Sower Records. It's the Omaha folk musician's fourth studio album, his first release in three years. The album was recorded and mastered at Hidden Tracks Studio and J Garrett Sound Productions, and Nishnabotna will be released in Omaha at The Waiting Room on Aug. 8 and in Lincoln at Zoo Bar on Aug. 22. Both the album title and the song title refer to spots along the Missouri River, although Gavin's Point Dam is on the border of South Dakota and Nebraska and the Nishnabotna tributary begins much further south. It's a boot-dragging, rhythmic ballad with an unexpected key change, musically ushering in the expansion of a tune about levees into a song about humanity's relationship to nature - an increasingly ominous one. Even the cows seem to know. They gather close during the music, and though the stage is cordoned off by an electrified fence, sealed off by wooden walls, they seem to know: This barn isn’t built for animals, tractors or feed. That clean and local energy is endless. Waving wildly just outside the barn’s front door, the ragged edges of the Nebraska state flag showed evidence of country gusts; panels on the roof captured the sun overhead. That’s not to say it was cozy and warm inside, though. Led by project organizer Mike Semrad and audio engineer Mark Wolberg, the musicians and Hear Nebraska’s video crew often huddled close to the space heater in between sessions. During performances, we’d shut it off, preventing its hum from being recorded. At night, the light from the second floor seeped through the cracks in the floor down to the first level. Outside, the porch lights illuminated dozens of names on the barn, names of folks who donated to the cause. And as the songs about windmills instead of oil spills, songs about the Ogallala Aquifer are now being mixed, as our videos of the performances are being edited, more names will undoubtedly add to the effort. Give your support to the benefit album here. Proceeds from album sales will fund the fight against TransCanada’s Keystone XL pipeline, and support more clean energy projects such as the Build Our Energy barn. Lekker droog klinkt Tracks In The Sound (eigen beheer) van Matt Cox. De Amerikaan zingt als een cowboy zonder zakdoek in een stofstorm. Met het stof op de stembanden dus. Het album begint met Letâ€™s Take It Home, een liedje in de stijl van Mark Germino. Three Rounds Down vangt aan als een trage cowboysong, totdat een piano een tempoversnelling brengt. Met het derde nummer July Sun wordt al duidelijk dat dit een bijzonder album is. Het duurt zes minuten en het verhaal over een verbroken relatie zou zo op de plaat Border Affair van Lee Clayton hebben kunnen staan. Een prachtig liedje dus, voor wie dat nog niet begrepen had na deze vergelijking. Cox woont in Omaha, Nebraska, en heeft een voorliefde voor het zuidwesten van de Verenigde Staten hetgeen zijn droge sound verklaart. Een geluid dat mede wordt vormgegeven door de warme bries van Ben Zinn op elektrische gitaren en pedal steel. Stond op My Last Dollar slechts de naam van Matt Cox, op Tracks In The Sound gaat het om Matt Cox Band. Een terechte toevoeging op deze cd. Down To The Station is een beetje als Harvest Moon van Neil Young, vooral door de mondharmonica van Cox. Op het afsluitende Riches To Rags brengt een trompet het zuidwesten van de VS dichtbij en het vertragende midtempo is weer helemaal als Lee Clayton. Verkrijgbaar bij CD Baby. Translation: Sounds delicious dry Tracks In The Sound (house) by Matt Cox . The American sings like a cowboy without a handkerchief in a dust storm. The dust on the vocal cords so. The album begins with Let's Take It Home, a song in the style of Mark Germino. Three Rounds Down begins as a slow cowboy song until a piano brings an increase in pace. With the third track July Sun is already clear that this is a particularly album. It takes six minutes and the story of a broken relationship would be so on the plateBorder Affair Lee Clayton were able to stand. A beautiful song so, for those who had not yet understood after this comparison. Cox lives in Omaha, Nebraska, and has a penchant for the southwestern United States which explains its dry sound. A sound that is shaped by the warm breeze of Ben Zinn on electric guitars and pedal steel. My Last Dollar stood at only the name of Matt Cox, on Tracks In The Sound is about Matt Cox Band. An appropriate addition to this CD. Down To The Station is a bit like Harvest Moon by Neil Young, especially by Cox harmonica. On the final Riches To Rags will trumpet the southwestern US close and the midtempo retardant is back as Lee Clayton. My Last Dollar (eigen beheer) van Matt Cox dateert al van 2009. Blijkbaar had de Amerikaan destijds geen geld meer voor promotie, zodat zijn cd nauwelijks werd opgemerkt. Gelukkig stuurde Cox alsnog een recensie-exemplaar mee met zijn nieuwste album Tracks In The Sound. Dit My Last Dollar is wat kaler. Van de twaalf liedjes doet Cox (zang, gitaar, resonator, banjo, bas, mondharmonica) de helft solo. De eerste drie nummers zijn met volledige band. De cd vangt aan met het titelnummer dat een jonge Steve Young in herinnering brengt. On The Double heeft een lekkere beat en fraai gitaarwerk van Ben Zinn. Op Around The Bend blaast Cox op mondharmonica de luisteraar van de Rockies naar de Mississippi. Time Ainâ€™t A Good Friend wordt gekenmerkt door een dreiging die Townes Van Zandt ook zo dikwijls wist te bewerkstelligen. Met zoâ€™n songtitel viel dat misschien ook wel te verwachten. December Moon is een instrumentaal gitaarwerkje. Verkrijgbaar bij CD Baby. Translation: My Last Dollar (house) by Matt Cox dates back to 2009. Apparently, the American had no money for promotion, so his album was hardly noticed. Fortunately, Cox still sent a review copy along with his latest album Tracks In The Sound. This My Last Dollar is what balder. Of the twelve songs does Cox (vocals, guitar, resonator, banjo, bass, harmonica) half solo. The first three songs with full band. The album starts with the title track, a young SteveYoung recalls. On The Double has a nice beat and excellent guitar work of Ben Zinn. On Around The Bend Cox blows harmonica listener from the Rockies to the Mississippi. Time Is not A Good Friend is characterized by a threat that knew so often bring about Townes Van Zandt. With such a song title was perhaps to be expected. December Moon is an instrumental guitar drawing. The Matt Cox Band has gained its share of recognition over the last couple of years. In 2009, the five-piece was given the Omaha Entertainment and Arts Award for Blues Artist of the Year. After the group evolved and adapted a sound closer to alt-country in 2010, the Matt Cox Band won the OEA Award for Country/Americana Artist of the Year. Both years, the band was nominated for Artist of the Year with the likes of well-known acts such as Bright Eyes and The Faint. It's the kind of thing that gives some artists a big head, but Cox is focusing too much on his music to care. "It was nice to be recognized ... but I was happier that the album came out the way I wanted it," Cox says. "I try to be one of those artists that try not to make a big deal out of the awards. " The Matt Cox Band will bring its hot streak to St. Joseph this weekend when it performs at 9 p.m. July 16 at Magoon's. The Matt Cox Band will headline the annual fish fry that includes performances from Sean Cleary, Missouri Homegrown, Marcus Words and Colby Walter. Cox has performed at Magoon's on several occasions, but most probably remember him flying solo. Cox was a lone singer/songwriter for many years. He played gigs in Arizona, Colorado and most notably in Austin, Texas, where he performed at the South by Southwest (SXSW) Music Festival. When he wasn't touring the country, he was making a name for himself at Omaha venues like The Waiting Room, Barley Street Tavern and McKenna's Blues, Booze & BBQ. In 2008, Cox played a one-off show with friends Seth Ondracek (bass) and Ben Zinn (electric guitar). They had such a good time that they decided to make it permanent. "Everybody dug what we had going on, so we just kept going," Cox says. A year later, the band added Nick Semrad (piano) and Andrew Tyler (drums). The Matt Cox Band turned a lot of heads with its impressive live gigs, mixing upbeat folk-country romps with old-time jams. Cox says the band especially felt good after opening for the alt-country group Son Volt at The Slowdown in Omaha. "We played for a few hundred people who had never heard us before," Cox recalls. "Things really took off from there. " Those shows turned on many people to the band's first album, "My Last Dollar. " With a blend of roots, blues and country, the record focused on the traditions and simple life of those in Middle America. Cox sang of open spaces and small towns with a smoky, soulful voice powered by guitar plucks. The band's newest album, however, is a little more scatterbrained. Cox says "Tracks in the Sound,” which came out last week, centers on the band's experiences, but offers a few other surprises. He describes the song "Last Kiss with Paulit" as a murder ballad about Billy the Kid. Meanwhile, "Three Rounds Down" is an ode to Johnny Cash. One listen to "Tracks in the Sound" and you'll hear influences of classic country and rock like Townes Van Zandt and the Allman Brothers, as well as the folk-blues stylings of Ray LaMontagne and Amos Lee. "There are some straight rock tunes and some slow country ballad stuff," Cox says. "It's not a concept album, the themes are all over the place." Cox and the band recorded "Tracks in the Sound"with producer Charlie Johnson of the Mezcal Brothers at Fuse Studios in Lincoln, Neb. Cox says they quickly pushed the release of the album because Semrad and Tyler are leaving the band to pursue musical interests in New York City. Cox plans to record a solo album and play some shows in Denver and Austin this fall, but he's urging his fans to come see the Matt Cox Band at full power while they still can. "I'm going to finish the summer out with the guys while they're here. But things are going to change," Cox says. For more information about the show or the fish fry, call Magoon's at 232-3611. Matt Cox's Shape-Shifting Alt-Country | Q&A With a voice like a whiskey-shooting, chain-smoking Bruce Springsteen and a songwriting style that refuses to stay within just one genre, Matt Cox has been a shining example of Midwestern alt-country-rock-folk-indie-Americana music that somehow fits all and none of these categories. Cox got his start playing solo in Omaha, but within the last few years has been playing bigger sets with The Matt Cox Band. 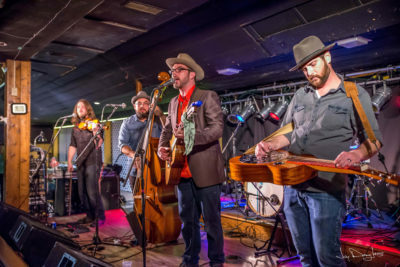 Influences of classic country and rock 'n' roll are evident throughout the band's newest album, Tracks In The Sound, whose sound recalls artists ranging from Townes Van Zandt to Bob Dylan to the Allman Brothers. Cox originally hails from Iowa, and formerly played drums in the Pheonix band Junk Ditch Road. Since his return to the Midwest, he has enjoyed a growing fanbase in Omaha and has secured a home in the city's music scene. He's played all over the country, including a songwriter's co-op at SXSW two years in a row. The Matt Cox Band drops their new album Sunday, July 3rd at a release show at The Waiting Room in Omaha, where they will be playing alongside fellow alt-country rockers Filter Kings and Lincoln rockabilly band The Mezcal Brothers. In a phone interview, Cox told Hear Nebraska why recording at Lincoln's Fuse Recording studio was a different experience, why he considers himself a Nebraskan and why July's the time to see his band. Hear Nebraska: This Sunday at The Waiting Room youâ€™re going to be playing alongside both Filter Kings and The Mezcal Brothers. For readers who havenâ€™t seen or heard any of you guys, whatâ€™s the best way to describe what the show will be like? Matt Cox: Filter Kings have been playing for a long time doing some rockabilly and that kind of stuff, I think they even won an OEA (Omaha Entertainment and Arts Award) a couple years ago â€¦ Some pretty country/rock 'n' roll kind of stuff. Pretty upbeat. The Mezcal Brothers, again, very experienced musicians out of Lincoln. Charlie Johnson, the bass player, did our recording for the album. Theyâ€™re in that same vein of Americana/rockabilly/country stuff. Then thereâ€™s our stuff. Everybodyâ€™s doing original music. In my opinion, theyâ€™re some of the best bands and players in the area of that alt-country genre. HN: Youâ€™re playing with your full band on Sunday. How often do you play with your band as opposed to playing a solo set? MC: Iâ€™d say in the last couple years ... probably about 80 percent with the band, maybe a solo gig every now and then. Itâ€™s worth noting that the band Iâ€™m with now will be heading different directions at the end of the summer. This will probably be the last show in Omaha with our full five-piece band. Our drummer is moving out to Los Angeles and our piano player is moving to New York â€¦ What the future holds, itâ€™s kind of up in the air. Lately, though, itâ€™s been full band. The whole month of July is booked with the band, weâ€™re doing Zoo Fest next week. If you want to catch us, Julyâ€™s gonna be the month to do it. HN: So does it feel different playing on stage with the band as opposed to playing solo? MC: I definitely have a lot of fun playing with the group of guys. It definitely takes pressure off when youâ€™re up there with other people. I've been lucky to play with some of the greatest players, in my opinion, on their instruments. My band are really top-notch musicians, very experienced, who work hard at what they do. Iâ€™ve been lucky to have people I can really rely on to be there and play their parts seriously without taking the fun out of it. It also allows for more opportunities for bigger shows. Itâ€™s definitely easier to grab your audience with a full band when youâ€™ve got drums and everything. You can get their attention and keep it there with you. Iâ€™ve had great experiences playing solo, too, though. Iâ€™ve had some good audiences when they hang on your every word. HN: Being from Iowa and having lived in Arizona, whatâ€™s made you stick around Omaha? MC: Well there are some pretty normal things keeping me here, like family. Iâ€™m originally from Shenandoa, Iowa. When I graduated in â€™99, my parents moved here. I lived in Arizona with my brother after that, then when he got married I moved back to Omaha where my family was at. When I came back to Omaha, I started to focus on writing my own music. I had really good luck with places like Mickâ€™s in Benson and places I could get my foot in the door at open mics or talking people into letting me try my thing and play my original tunes. Itâ€™s been really good to me. Omaha is a great place to meet people and there are a lot of great songwriters, too. Itâ€™s a great network of people to be friends with. There was a time when I was thinking about moving down to Austin a few years ago, but I just happened to meet the guys from the band and did a couple gigs with them and thought we had something cool going on so that kept me staying here and itâ€™s been good. Omahaâ€™s a great town. HN: So do you consider yourself a Nebraskan? MC: As far as considering myself a Nebraskan, thatâ€™s a tough question. I would say yes, Iâ€™ve been here 10 or 11 years. But will I root for the Hawkeyes over the Huskers? Yes. I hold Iowa very dear, I grew up there for 19 years, but my family is here and I do consider myself a Nebraskan. HN: Regarding the new album: Tracks In The Sound was recorded at Fuse Recording in Lincoln with producer Charlie Johnson, who is also the bass player of The Mezcal Brothers. Did this recording process differ from what youâ€™ve done in the past? MC: It was a brand new experience for me â€” totally different. Itâ€™s a brand-new studio, so there arenâ€™t a lot of people who have been there yet or seen it, but it definitely made an impression on me, just first walking in there, how nice it was. I think I had met Charlie once before, but in the weekend we were there we got to know each other pretty well and he was really easy to work with. It was a different situation with the whole band, too. In the past Iâ€™ve always been going to a friendâ€™s place over in Iowa, Kirk Webb, who had a good ear and a makeshift studio. So Iâ€™d drive out from Omaha over an hour to Griswold, Iowa, whenever I felt like I had some work to do. I would go and record a few hours in the evening or night and then drive home, and it might be the next week Iâ€™d go back or it might be six months down the road Iâ€™d go back. This time, we knew our parts, the songs were ready, and we had top-notch gear and a great big room to do it in. We pretty much did the whole thing in a matter of two or three days, then another couple days to mix. I was nervous about it being intimidating or it having a negative effect on me, but it really didnâ€™t. It felt great, it was like playing a venue with a great sound system. Definitely a new experience, but a good one. HN: So what would you say is the biggest difference, musically, between Tracks In The Sound and your past work? MC: This album has songs that itâ€™s difficult to put your finger on as far as what genre they might fall into. I donâ€™t like to worry about that too much. The biggest difference is the full band being on every track. Itâ€™s definitely more of a rock album than anything Iâ€™ve done before, and also at the same time more country than anything Iâ€™ve done beforeâ€¦ Some of my other albums, Iâ€™ve been described as a blues guy by some people, I donâ€™t know if itâ€™s the rootsy sound or my vocals, but this record I was definitely writing from more of a country influence. Bryce Wergin is a summer intern for Hear Nebraska. For some reason all this talk about country music has given him a craving for fajitas. Reach him at brycewergin@hearnebraska.org. Matt Cox CD Release Matt Cox celebrates his new studio CD release Tracks in the Sound at The Waiting Room on Sunday, July 3, at 9 p.m. The Filter Kings and The Mezcal Brothers also play. The new CD was produced by Charlie Johnson of the Mezcal Brothers at Lincolnâ€™s Fuse Recording. Coxâ€™s rich, distinctive voice, fine songwriting and great playing all set him apart. His sound should appeal equally to fans of Americana, indie folk and blues. The disc reflects the best of Coxâ€™s excellent original material as played regularly through the last year by his amazing band: Seth Ondracek (bass), Ben Zinn (electric guitars), Nick Semrad (piano), and Andrew Tyler (drums). See them now, as Semrad and Tyler are planning to move to New York City to try their musical luck there. Meeting the Band: Matt Cox Romantic Old West alive inside Matt Cox By: Will Simons Issue: July 29, 2009 Photo by Dale Heise Certain people are drawn to certain types of places. For some, traveling always revolves around the East Coast and its web of cities that constrict until everything ends up stuck and jammed together in New York City. Others opt to get lost in the expansive wilderness of the Pacific Northwest and its abundance of unmanned coastlines that toss the masses of people inland into major cities like Portland, Seattle and Vancouver. But singer-songwriter Matt Cox has an affinity for the southwestern United States. Born and raised in Shenandoah, Iowa, a little town about an hour south of Omaha, Cox has adopted the mindset of the traveling folk singer. Although heâ€™s currently rooted in Omaha and tied closely to the Benson songwriter scene (which includes Kyle Harvey, Brad Hoshaw and Justin Lamoureux), Cox didnâ€™t initiate his musical bearings until he returned from a month and a half of self-imposed isolation where he drove into the West playing show after show, just him and his guitar. He careened through California before eventually returning to Nebraska. â€œThe West Iâ€™ve always been drawn to,â€ he said recently over lunch at a Hartland Barbeque with his band mates Ben Zinn and Seth Ondracek. â€œEven like Western movies, I always loved the whole openness of it all and the wide open spaces that are still actually there.â€ Singing with a grizzled voice thatâ€™s met a few cigarettes and whiskey bottles in its 28 years, Cox doesnâ€™t take a modern approach to his craft. Rather, he holds close to the traditions fortified by the masters of the 20th century â€“ Robert Johnson, Lead Belly, Jack Elliott, Guthrie and Dylan. He spins tales of hardship and heartbreak, wanderlust blues ballads full of lonesome train whistles and sleepless campfire nights. If his songs were photographs, theyâ€™d be dusty and sepia-toned and show only scenes of a bygone era where instant gratification meant receiving a letter from a man two counties over confirming your wish to marry his daughter. Coxâ€™s songs also perked the ears of some of the most active and accomplished musicians in Omaha. Last year, Ondracek, bassist of Omaha staple the Jazzwholes, approached Cox after a set at a downtown bar about possibly playing bass along with his songs. Cox couldnâ€™t refuse that offer and soon other members of the â€™Wholes were on board â€“ including Zinn on guitar, Nick Semrad on keyboards and Matt Arbeiter on drums. Along with Cox, these make up the five members of the Matt Cox Band. Even with all that Cox has to look forward to (heâ€™s already well into the process of recording a stripped down folk blues record to follow up his first full band effort â€œMy Last Dollar,â€ released last spring), he comes across as someone who has just begun his musical career. In other words, his world is like the Wild West: untamed and full of opportunity, not that of someone with a hardened shell jaded by disappointment and defeat. How did you get from Shenandoah, Iowa to where you are now? Matt: I went to Shenandoah, and graduated there in â€™99. Spent some time in Ames after that. I was kind of going to school at a community college there in Des Moines and shortly after I graduated from Shenandoah, my parents moved to Omaha, bought a house here. Before too long after that, my brother and I kind of both ended up coming to Omaha and seeing their house and kind of relocating here. I spent a few years in Omaha, then I kind of followed (my brother) down to Arizona. He had some friends that were playing in a band called Junk Ditch Road in Tempe. I went down for the summer to check that out, ended up filling in playing drums for them for a summer. It was 2002, thatâ€™s kind of when I first started playing live with people. I never really experienced that before. Iâ€™d grown up playing through band and stuff like that in high school; that was more of my forte at the time was playing percussion. But I was starting to play guitar and sometimes for set breaks Iâ€™d sing some solo stuff on my own and when I moved back to Omaha, kind of just took it from there. Where did you play at in Omaha? Matt: Mickâ€™s â€“ that was a place I tried to get into for probably a year. I played McFosterâ€™s and some coffee shops around the town, but Mickâ€™s was establishing itself as the singer-songwriter spot. Eventually, I did a lot of open mikes there and Michael (Campbell, former owner of Mickâ€™s) started putting me in front of a couple other acts opening up for people. I ended up recording an EP there, actually, on an open mike night. I had a guy come in, do a recording for me and I released a couple hundred albums of the EP â€œStick Your Neck Out.â€ I took that and basically left town for about a month and a half and traveled all over the West; Colorado, New Mexico, Arizona and then all the up the coast of California just hitting every little club and cafÃ© to just kind of get out of town and get some experience. Just playing with whoever I could, whenever I could, sleeping wherever I could. It was a lot of experience. It gave me a lot of confidence when I came down. What inspired you to up and leave? Matt: Some other musicians. Like I said, Iâ€™d been playing at Mickâ€™s a lot at that time and met so many other traveling musicians, you know, singer-songwriters that were coming through town and knew about Mickâ€™s and people my age and younger than me that had obviously some experience doing it already and had some success as far as traveling and seeing the country. I took those 200 copies of the CD and saw it as a chance to maybe hit the road and make some gas money along the way. So how did the band eventually come together? Matt: Last summer at Benson Days. We probably only met a week or two prior to that, really, or talked about doing anything. Iâ€™d been playing at the Goofy Foot where Seth was working. He mentioned getting together with the possibility of us all playing together sometime. I had that Benson Day gig booked, I think, in front of a bunch of other bands, which was gonna be kind of weird I thought. So I kind of asked these guys to join me and we got together and practiced for 20, 30 minutes that day and went on and played. And it just kind of stuck. Later in October Matt (Arbeiter) decided he wanted to drum and eventually Nick (Semrad) joined. Whyâ€™d you guys want to play Mattâ€™s songs? Seth: Well, I was a fan of his. I saw him do his solo stuff and I was starting to get into country music and I kind of heard the influence by him and I asked him if he wanted a bass player and there it went. And I was talking to Ben, and we were doing the Jazzwholes, and I told him I was going to go play with Matt Cox. Ben: We just kind of went for it. Iâ€™d seen Matt play, I donâ€™t know if weâ€™ve talked about this, but there was a New Yearâ€™s Eve show â€“ at the Anchor Inn, remember? I think that was one of the first times I had seen you play and I was really impressed and he sounded so good just on his own, but in the back of my mind I wondered how this guy would sound like with a band. Can you tell me about you latest CD (â€œMy Last Dollarâ€)? Matt: I did it kind of in spurts. I recorded about half of it the winter before, mostly just on my own. And then somewhere in that summer, we all met and I was kind of sitting on these recordings, wondering what the heck to do with them and wondering if they were good enough to release or whatever. And once I got to playing with these guys quite a bit, I definitely heard some things on there that could be done better, bringing in the band live and tracking the stuff live together and I had a couple of new songs as well that I needed to lay down. So really, thereâ€™re three tracks on the CD that are essentially the band. Then there are a couple tracks that I also had Ben play some lead guitar stuff over. Thereâ€™re tracks Iâ€™ve done drums and bass on to as well. What studio did you go to? Matt: A place in Griswold, Iowa, called Prairie Wind Studios, which a friend of mine runs. Itâ€™s a little tucked away spot in the middle of nowhere in this room that a guy attached to his garage. Kind of a hundred-year-old barn next to it. Thatâ€™s just my spot where I know to go and itâ€™s affordable. Iâ€™m actually still going out there and working on another album right now. Itâ€™s going to be more of a stripped down blues, roots album with a couple different people. Seth and Ben, what all are you involved with musically? Ben: Iâ€™m doing a lot with Matt. As much as I can play with him, I do. Then I also have Little Black Stereo that Iâ€™m playing with and Satchel Grande, too. And sometimes Iâ€™ll go out and play keys for (local songwriter) John Klemmensen. Seth: Right now Iâ€™m doing obviously the Matt Cox thing and Lizard King â€“ a Doors tribute band. And I play with jazz/gospel singer Heidi Joy. Iâ€™m doing an album with (local musician/astrologer) MoJo Po. Itâ€™s about the Zodiac signs. He wrote a song for each sign. Itâ€™s very eclectic. You all seem really busy with music. Do you have other jobs? Matt: I spend half the week at the Pizza Shoppe cooking pizzas during the day. Iâ€™ve been there for a few years and theyâ€™re good to me. Seth: I have a couple students and sometimes I do construction, but mostly I just live off my gigging. Ben: I have a pretty good collection of students up at Russoâ€™s and I try and gig as much as I can, too. Local Tunes Songs For a Cure By: Marq Manner Issue: July 8, 2009 Omaha photographer Steve Loftus will be hosting a benefit show for the Juvenile Diabetes Research Fund this Sunday at the Waiting Room. The benefit is titled Songs For A Cure and features three of Omahaâ€™s best songwriter based acts, Brad Hoshaw & the Seven Deadlies, Itâ€™s True and McCarthy Trenching. The event will also feature Raven Carousel, the new project from longtime Omaha musicians Ben Sieff, Cass Brostad and Jerry Kuhn. The Juvenile Diabetes Research Fund is set up to help find a cure for children suffering from Type 1 diabetes. Children with this disease endure blindness, kidney failure, heart disease, amputations and much more. This show will have an early 8 p.m. start time and will only run you $5 for admission. The organizers of course will not be turning down any donations above and beyond the admission. The artist that seems to be playing the most around Omaha and the region right now is Matt Cox. Whether it be with his band or as a solo artist he has been hitting every nook and cranny in the area over the past couple of months promoting his current album, â€œMy Last Dollar.â€ Cox might have made the biggest impact this past Monday as he and his band opened up for super popular alt-country artists Son Volt at the Slowdown. Cox and his band played the big stage at the Slowdown like they had done it a dozen times before. The band played a perfectly chosen set of some of Coxâ€™s strongest songs, mixing upbeat folk country romps, songs that allowed for some inspired jamming from the rest of the musicians, and many that feature Coxâ€™s signature old-timey vocals and songwriting style. The band looked and sounded like they might have been heading out to play the Austin City Limits stage the next night. Cox has been backing himself with many of Omahaâ€™s heavies for a while now, and they have put on some great sets. But nothing has compared thus far to the punch they packed this past Monday. Finger Pickin' Good - Matt Cox's latest makes listeners pine for country drives and campfires. You just canâ€™t find a studio housed in a 100-year-old barn in Omaha. Although they had to wait for space heaters before recording, Matt Cox and a cast of other notable Omaha musicians made multiple trips to Prairie Wind Studios in Griswold, Iowa this winter to cut an album. The secluded, peaceful atmosphere was exactly what Cox wanted. The resulting 12 songs on My Last Dollar, are a sprawling sonic landscape that embraces tradition and a simpler life. Matt Cox grew up in Shenandoah, Iowa, a small town near the Nishnabotna River. The family farm was lined by 30 acres of woods and a river. The young Cox, his brother and father would camp, fish and hunt in that wilderness. Cox began playing piano at age six. Ever since he first played in an original band to live audiences in Arizona, he has been dedicated to writing and playing, and over the last six years he has settled into his own as an artist. Influences such as Neil Young, Bob Dylan and Townes Van Zandt permeate Coxâ€™s rambling country and blues. He said that Greg Brown of Iowa is one of his biggest influences. Though not widely known, he regularly plays to packed crowds. â€œThe way he writes, I can picture the farm,â€ Cox said. â€œHis songs, they feel like me.â€ Cox, with his finger-picking and slide guitar work, to breezy harmonica and smoky, soulful vocals, writes the kind of music that prompts thoughts of open spaces, and not the chaotic hum of the modern world. â€œI stopped feeling short-changed by growing up in a small town, and I embraced it,â€ he said. When he can, Cox makes the 45-minute drive to his familyâ€™s land to get away from the traffic and noise of the city heâ€™s called home since 2001. â€œI like to trade TV for a campfire,â€ he said. Getting his start as a musician in Omaha was tough for Cox, and he said he was lucky to have fallen into the Benson singer-songwriter community. Befriending artists such as Sarah Benck, Brad Hoshaw, Kyle Harvey and Justin Lamoureux gave Cox that small-town feel he was accustomed to, being active in helping each other improve as musicians. In playing his music from Oakland, Calif., to Nashville Tenn., Cox has seen that sense of community amongst musicians all over the country. â€œThere are so many good-hearted people out there helping one another,â€ he said. Although Cox knows that traveling musicians have a tough road ahead of them, there is nothing else he feels he should be doing. It is his goal to write songs that worth playing and hearing. â€œIt [the songwriting process] is a mystery,â€ he said. â€œIt unfolds from nowhere, from the subconscious.â€ It keeps him coming back for more. Every time he picks up the guitar to write, he is unsure of what will happen, he said. â€œNine out of ten times it may be trash, but I keep trying,â€ he said. On My Last Dollar, there isnâ€™t one track that fits into the trash category. There are whiskey-drenched country ballads, rambling country foot-stompers with great finger-picking, spacious and beautiful love songs, a murder ballad and a great solo instrumental that is simultaneously dark and hopeful. The songs breathe flawlessly from one track to the next unveiling the cool demeanor of Cox himself: Flannel-shirt, old hat, a cigarette and an open road kind of cool. Cox played many of the instruments on the album, but he says he is proud of himself for realizing what could be improved by enlisting some of Omahaâ€™s finest musicians. Benn Zinn, Matt Arbeiter, Seth Ondracek, Nick Semrad, Josh Krohn, Kat Smith and Kirk Webb all played on the album. Although Cox said the album is about facing reality and letting go, there is an optimism that shines through. He hopes this album and others that follow will embrace the timeless values of Woody Guthrie and other folk musicians. Itâ€™s simple, but thereâ€™s a lot going on underneath. â€œThereâ€™s a lot more to this music than banjos and fiddles and hootinâ€™ and hollerinâ€™,â€ he said. Acoustic music seems to be underappreciated by too many who go out to see local live music. Acoustic blues music seems even less popular. Consequently, Matt Cox's new CD, Folker's Travels, is a bright spot for Omaha on both counts. 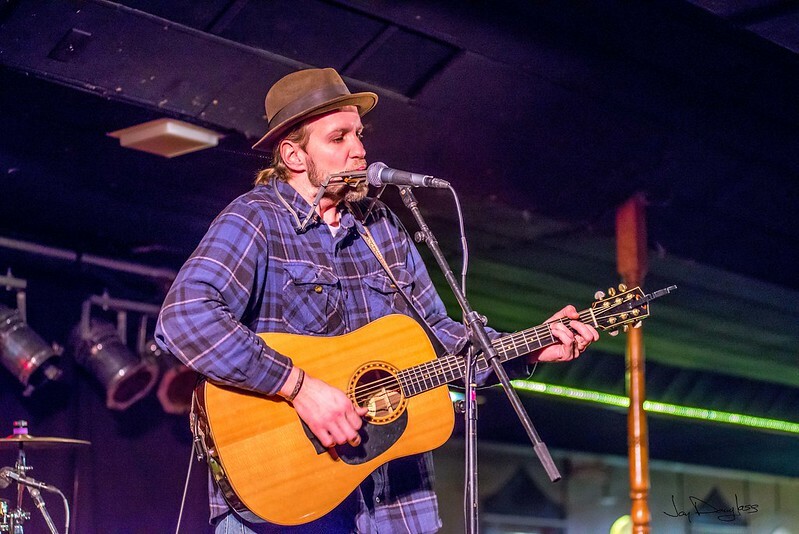 Cox's original music is rooted in deep country blues and his original songs show his respect for traditional music as well as more contemporary folk-blues-Americana artists like Bob Dylan, John Prine, Townes Van Zandt, Harry Manx and Greg Brown. If you're looking for a heartfelt take on the genre, Cox's music has the feel of a fresh breeze coming through grandma's screen porch after a long overdue rain. From Omaha, Matt Cox is the first out of town musician that syntax has covered. But rightly so. Because on September 20th Cox will make his Denver debut as part of A Moveable Feast III. For this and more, we are blessed to have this gifted gold mine of a guitar slinger visit the Queen City of the Plains. Cox is younger than me. But he sounds like he's twice my age. In timbre and content his voice portrays a worn soul, one that is speaking from the sepia days of the past through a tin can and a string. The way Cox plays his guitar, sings and records is how it's supposed to be done in my book. While he may be young, Matt Cox understands space and volume and when to kick it into fifth gear â€“ with his guitar and with his voice. In this he has a tremendous aptitude â€“ one that is not learned, but rather, known â€“ a priori. The same can be said for his content and lyrical aptitude. Cox talks about everything Middle America. He talks about county jails, the sheriff, honest pay, and a life of drinking heavy. But he's not some country bumpkin â€“ no, Cox's content - musically, compositionally and lyrically are laced with that rare kind of complex simplicity. Because while everything may feel like Middle America â€“ in the end, his work is about the human spirit and it's ghostly, cosmic condition. An example of this is to be found in a lyric that, if you blink, you may miss: Deep in the heart of Iowa/Deep in the heart So obvious is his talent and humanity that, after hearing his work, the Late Jack Redell drove all the way to Omaha just to meet Cox. "Matt Cox's songs swagger with visions of an America that I haven't convincingly heard since the Band took their collective last breathâ€¦" Redell said, "I find him impossible." Cox plays with an earnest pace, with songs that feel so far away from city lights that I am lead to question my own urban existence. It's people like Matt Cox that make me feel ridiculous for living a city life. It's people like Cox that lure me into disappearing for a more virtuous life in the cornfields. In the hills. In a small town. Forevermore I want to sit on a dusty front porch on a creaky swinging chair and watch the sun set to the west. That's the kind of life I want to lead: simple and with the dirt of the land on my trousers; driving home from work in a beat-up old pick-up truck, with a bottle of whiskey. It's as Cox says: Just a fishing pole and an apple/No more material things While life can beautiful, there is always a sense of torture â€“ one that resonates in Cox's words and mostly, his voice. Redell said, "Cox sings from the hardest place I knowâ€¦ it's hell there." His work is conversational. Even within his sparse and haunting arrangements it is conversational - where banjos and violins creep around him like ethereal ghosts in an empty farm house â€“ there is always an element of connection. Whether that be in his rich storytelling aptitude or within the fact that he lacks pretension. For your whole ride through his musical landscape, Cox drops the wall between himself and the listener. He says things like: There's more beneath the surface/More than what you think you hear Living in Omaha, Cox is in the middle of a cultivated scene created by singers and songwriters and folks like Saddle Creek Records. But that's not to say that this monster of an undiscovered talent is not being recognized. Jess Stanek wrote that Cox's work is composed of "...timeless songs, hymns full of lonely highways, distillery lunch breaks, longing and realization." Still, at this point, Cox is flying under the radar â€“ even more reason why it is a tremendous treat to have somebody of his caliber playing Denver in September. Even when Cox leaves the Queen City, stay in touch with his sure fire rise: www.myspace.com/crookedroadblues and www.mattcoxmusic.net. So Much Music by B.J. Huchtemann If you are reading this on Thursday, Jan. 10, two big shows to remember: Chicagoâ€™s Nick Moss & The Flip Tops at Murphyâ€™s, 5:30-8:30 p.m. and a collaborative â€œSongwriters in the Roundâ€ show at Mickâ€™s after 9 p.m. Nick Moss has roots in old-school Chicago blues and jump-blues and his guitar fireworks will impress. Mickâ€™s Songwriters show features owner Michael Campbell teaming with Chris Saub and Matt Cox. All three have considerable songwriting and performing chops. Cover is $5. Spotlight on Cox Blues fans should check out Omahan Cox, if not at Mickâ€™s, then soon. Coxâ€™s acoustic sound is rooted in country blues and his vocals remind me of Harry Manx with overtones of Bob Dylan and John Prine in his cadence and delivery. Cox released Folkerâ€™s Travels (Uncle Larry Records) in late 2007. The disc is very good, packed with engaging, all-original songs, fine playing and spare but thoughtful production. Cox can be heard at the Barley Street Tavern in Benson on Friday, Jan. 11, at 9 p.m. Admission is free. Opener Chris Logeman (of the Whiskey Pistols) will play a solo set. Cox also wants folks to know about a Friday, Jan. 25, show heâ€™s planning at P.S. Collective with Jalan Crossland from Wyoming. â€œHe's AMAZING,â€ Cox said of Crossland. â€œI put him up there with John Fahey, Leo Kottke, Michael Hedges, etc. " And that, music lovers, is quite a testimonial. See mattcoxmusic.net or Coxâ€™s MySpace for music samples. After firmly establishing himself as one of Omahaâ€™s better barroom bards, Cox has recently reached new fan bases in towns like Denver, where he played an integral part of A Moveable Feast, a songwriters co-op, and Austin, TX where he has been invited two years in a row to perform at their prodigious SXSW festival. Already hard at work on his next studio effort, Cox has plans to tour the Midwest over the summer of â€™08. If youâ€™ve ever felt betrayed by the gloss on the radio or the shine on music videos, Cox offers a bit of good â€˜ole honest-to-goodness, hollering music for the new generation.